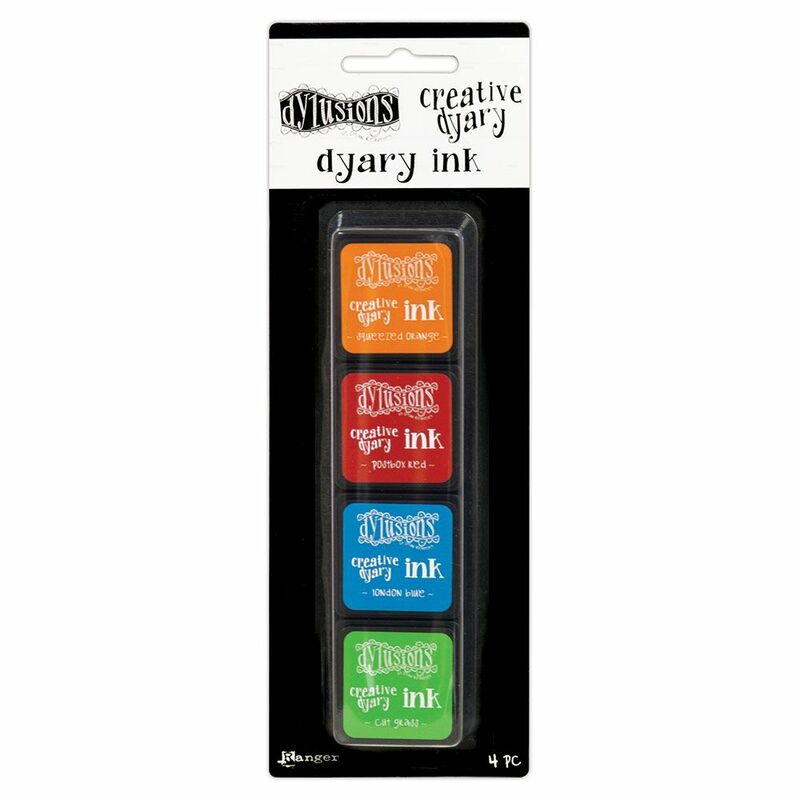 Dylusions Creative Dyary Ink is an all-purpose stamping ink ideal for use in the Creative Dyary. The raised felt makes it easy to ink stamps or use on smaller surfaces. The stackable, 1” x 1” mini case is easily portable and provides a convenient storage solution. Each set includes four Dylusions palette colors.